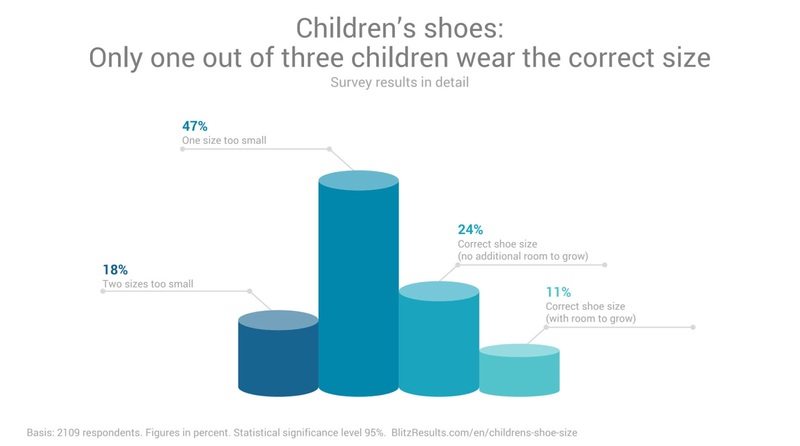 Is Your Child Wearing The Right Shoe Size? Do a regular check: Tim Lilling, expert at blitzresults.com, tells us that, "Because the sense of touch isn’t fully developed in children yet, they have a tendency to squeeze their feet into shoes that are much too small, they don’t even notice it. Therefore, parents must measure their children’s feet every 2 months." 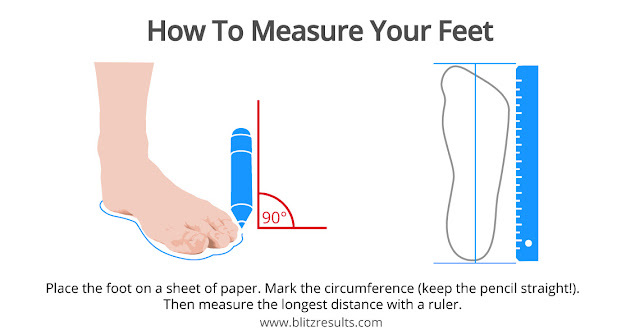 A measuring guide, useful conversion tools and a lot of information on how to choose shoes with the perfect fit can be found at https://www.blitzresults.com/en/childrens-shoe-size. Trick: Asking them how it feels. Parents ask kids; "Does the shoe fit?" Unfortunately, the answer will likely be wrong. Often, the nerves in kid’s feet are not fully developed yet and their awareness of pain is clearly lower than an adult’s, so, kids don't realize if the shoe fits. Better: First and foremost, measure their feet. Of the parents surveyed, 52% said they’d never measured their kid's foot length, but instead relied solely on sensorial and visual tests. BlitzResults is an open source educational platform with focus on science, consumer affairs and technology. A wide variety of tools, converters and checklists help users to calculate optimal results. All tools were created in collaboration with educational institutions and every info-graphic is licensed under creative commons and may be used free of charge in educational context.